The newly designed high definition ED lens on Vixen's ED115S gives excellent optical performance with its Extra Low Dispersion (ED) glass. Chromatic aberration is virtually eliminated. 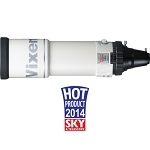 The Sky at Night Magazine states: "Vixen's optics were excellent. The scope corrected false colours almost perfectly when in focus...Pointing the scope at the stars showed the optics to be pretty much perfectly corrected"*. The new ED lenses feature brighter images from the shorter f/7.7 focal ratio to capture crisp, pinpoint star images for your enjoyment. The ED115S lenses are made with environmently friendly technologies, free of hazardous lead that helps to support a cleaner global environment. The new lenses focus the full spectrum of visible light to a critical point much more accurately than past ED products. 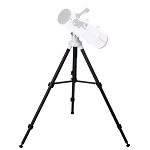 The astro-photographer will be especially pleased with the high contrast images through this telescope. 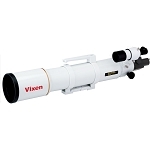 The ED115S comes complete with 125mm tube rings and Vixen's New Dual Speed Focuser. Manufactured in Japan. A full objective diameter of 4.5" (115mm) with a focal length of 35" (890mm) operating at a focal ratio of f/7.7. 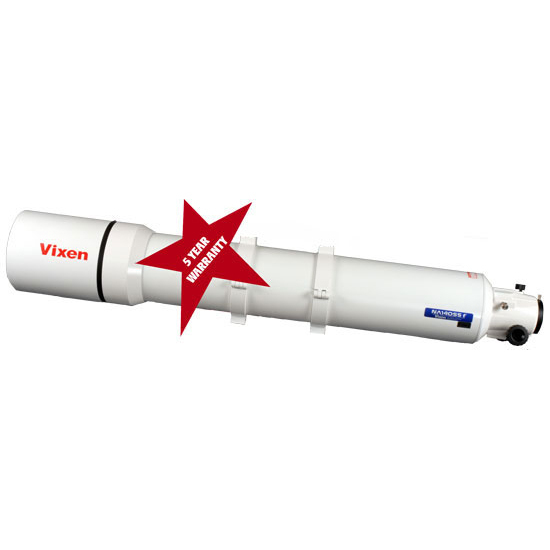 Short tube length of 3.7" (940mm) and tube weight of 9.7 lbs (4.4kg) make it easily portable. Generous 5.9" (150mm) of backfocus is standard and can produce 4" (101.4mm) of backfocus with optional reducer. Dual Speed Focuser, now standard on the ED115, provides fine focus adjustments for 1/7th speed focusing. Sharp, color-free image of high contrast for both visual and photographic applications - without unwanted color or "blooming"